Lady Hel has never had luck or use for love. She's the ruler of Hel! She doesn't need anyone... until a curse forces her to look for her one true love. For crossing Odin, she's stripped of her position and sent to an ostentatious estate until she is able to find love. Harley Andersen is a seven-year college senior with no idea what to do with his life. So far all he's come up with is killing time. When his best friend dares him to hop the gate of what's supposed be a haunted house, he encounters a woman who steals a lot more than his breath. And what she's offering could give him the future he's missing. It'll just require a trip to the past. 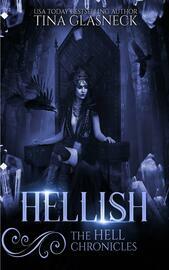 This is a standalone book in the HELL CHRONICLES. Fans will recognize characters from the DRAGON SERIES, but you don't need to read them first to enjoy this new adult fantasy that turns the Beauty and Beast tale on its head.